Just £1199! new price £4000, comes with 2 year warranty! Refurbished Fully Ruggardised MEGA High specification Panasonic Toughbook CF-31 Laptop. High performance Intel i5 DUAL CORE 2.4GHz processor, Massive 8GB RAM, DVD multidrive, WIFI, 13.1″ Touchscreen display with daylight readable display, WIFI, 480GB SSD Hard-drive (boots windows in 6 seconds), Windows 7 Professional 64BIT, 2 year warranty excluding battery. SD card reader built in. Comes with Windows 7 Professional 64BIT! Posts related to Just £1199! new price £4000, comes with 2 year warranty! Refurbished Fully Ruggardised MEGA High specification Panasonic Toughbook CF-31 Laptop. High performance Intel i5 DUAL CORE 2.4GHz processor, Massive 8GB RAM, DVD multidrive, WIFI, 13.1" Touchscreen display with daylight readable display, WIFI, 480GB SSD Hard-drive (boots windows in 6 seconds), Windows 7 Professional 64BIT, 2 year warranty excluding battery. JUST £1199 with 2 year warranty!. New price £3500! Windows 10 Professional Refurbished Fully Ruggardised MEGA High specification Panasonic Toughbook CF-31 Laptop. High performance Intel i5 DUAL CORE 2.4GHz processor, Massive 8GB RAM, DVD multidrive, WIFI, 13.1" Touchscreen display with daylight readable display, WIFI, 1000GB/1TB Hard-drive, Windows 10 Professional 64BIT, 2 year warranty excluding battery. Just £999 with 2 year warranty. Cost new £2999! Refurbished Fully Ruggardised MEGA High specification Panasonic Toughbook CF-31 Laptop. High performance Intel i5 DUAL CORE 2.4GHz processor, Massive 8GB RAM, DVD multidrive, WIFI, 13.1" Touchscreen display with daylight readable display, WIFI, 500GB Hard-drive, Windows 7 Professional 64BIT, 2 year warranty excluding battery. Just £1299.99 with 2 year warranty! New price £4000! Refurbished Fully Ruggardised MEGA High specification GPS Panasonic Toughbook CF-31 Laptop. High performance Intel i5 DUAL CORE 2.4GHz processor, Massive 8GB RAM, DVD multidrive, WIFI, 13.1" Touchscreen display with daylight readable display, WIFI, 1000GB Hard-drive, very rare Internal GPS, Windows 7 Professional 64BIT, 2 year warranty excluding battery. Cost new £2999.99! Just £649.99! 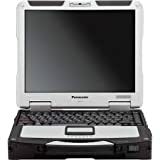 Refurbished FULLY ruggardised Panasonic Toughbook CF-30 DUAL core laptop. Intel Core DUO DUAL CORE 1.6GHz processor, 2GB of RAM, 160GB Hard drive, WIFI, DVD multi drive, RS232 serial port, 13.1" Touchscreen daylight readable display with built in stylus, Windows 7 Professional. Comes with 2 year warranty. Cost £3999.99 new! Now just £599.99! Refurbished FULLY ruggardised Backlit Keyboard Panasonic Toughbook CF-29 Pentium M Centrino laptop. Intel Centrino 1.6GHz processor, HUGE 1.5GB of RAM, MASSIVE 320GB Hard drive, WIFI, DVD, RS232 serial port, 13.1" Touchscreen daylight readable display, BACKLIT keyboard, Windows 7 Professional, 2 x USB ports, etc. Comes with 2 year warranty. This entry was posted in Discount Computers and tagged 13.1, 2.4GHz, 4000+, 480GB, 64bit, Battery, boots, CF31, Comes, Core, daylight, Display, Dual, excluding, Fully, Harddrive, High, Intel, Just, Laptop, Massive, MEGA, multidrive, Panasonic, performance, price, Processor, Professional, readable, Refurbished, ruggardised, seconds, specification, Touchscreen, Toughbook, Warranty*, WiFi, Windows, Year, £1199 by The Technology Report. Bookmark the permalink.